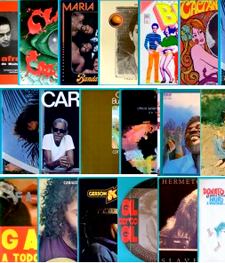 Here you will find products in various media, related to Soul, Groove and Brazilian Funk. In Brazil, this style acquired a typical flavor, with fortuitous touches of rhythmic cells characteristic of the Samba! Brazilian creativity and mixtures also gave birth to many styles, such as Samba Funk, Instrumental Soul Jazz, Samba Soul Jazz and derivations like Dance, Disco, Rap, Regional Swing followed. In Brazil, the diffusion of these styles took place from mid 60s till today! FONTANA 2nd Edition with diferent cover! MINT! Original 1st Pressing with Insert! Nearly Impossible to find a copy like this! NEAR MINT very close to MINT! With Insert!